The code under test uses some constants defined by FLOW3 during it's bootstrap. Those are not defined when the tests are run standalone. The code under test as well as the tests themselves rely on a working autoloader, which is not the case for plain PHPUnit runs. Make sure to upgrade the Testing package to it's latest version (so it has the Bootstrap.php file). Edit your NetBeans project configuration to instruct it to use mentioned Bootstrap.php as, well, bootstrap for PHPUnit. Create a folder (basically somewhere, I put it into my project root) that will contain all tests from NetBeans point of view. 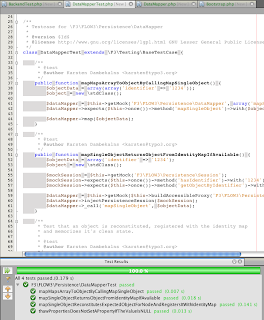 Configure that folder as the tests folder for your NetBeans project.